Two-toned yet eye-catching with their unique design, these slip-on sneakers will keep you in style. 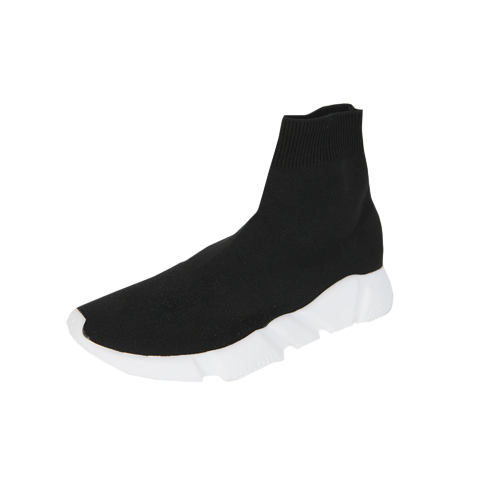 They come with a sock-like design with their snug fit and ankle-high reach, and the soles have contrast-colored thick soles for optimum comfort. Team them with your mini shirt dress and bomber jacket for a cool streetwear look.